Carlos A.F. 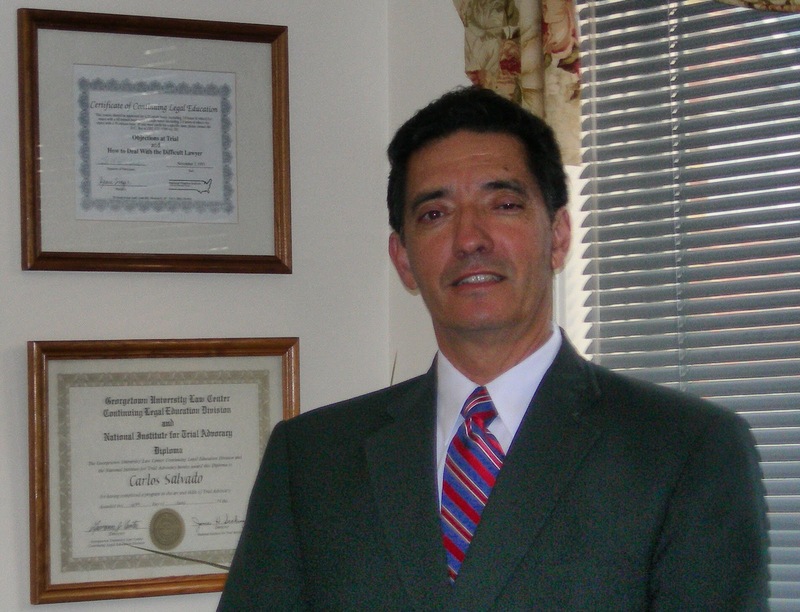 Salvado, the Father and Senior Attorney is licensed in Virginia and handles criminal, traffic legal defense, as well as personal injury cases, if there has been serious damages. Born in Yonkers, New York, of Portuguese parents. Graduated from Queens College and came to this Washington, D.C. Metro area to study law and graduated from Antioch School Of Law. Mr. Salvado also speaks Spanish and Portuguese.